In 1902, Robert Todd Lincoln, the eldest son of President Abraham & Mary Todd Lincoln, hired a Boston architectural firm to build a stately home on a promontory overlooking the Battenkill Valley in Manchester, Vermont. The site he chose commanded sweeping views of the valley bordered by the Taconic Mountains to the west and the Green Mountains to the east. His magnificent Georgian Revival style home was completed three years later. 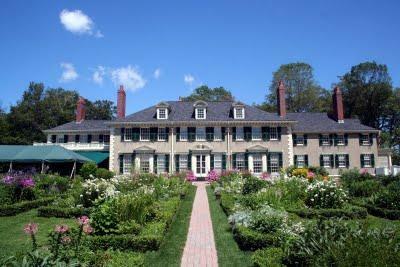 Robert Todd Lincoln named his new home Hildene meaning "hill" and "valley." Hildene would be Mr. Lincoln's summer home for the next 21 years and would be the only house in America where all of Abraham Lincoln's descendants would eventually reside.